Everyone has a unique reason for living in the country. Some seek peace and solitude amongst scenic splendor while others want to generate an income from their land. Both ventures are compatible when landowners recognize that being neighbors is a two-way street and show respect for each other, for their property and for their livelihoods. 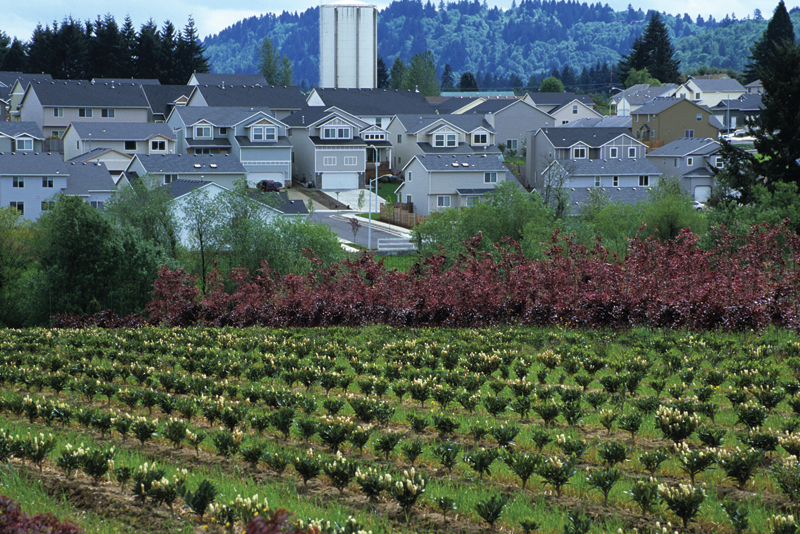 Much of rural Clackamas County is made up of small working family farms. Some farms have been managed by the same family for 150 years. Clackamas County is a leading producer of agricultural products in Oregon. In addition to providing $400 million and jobs to the economy, successful farming insures future livability of rural areas and protection for open space and wildlife habitat. Oregon’s “right-to-farm” law seeks to protect the investment farmers have made in their agricultural operations. The law limits the ability of individuals, local governments, and special districts to bring court actions or administratively declare certain farm and forest practices to be nuisances or trespasses. The Oregon “right-to-farm” law includes specific protection from legal actions because of noise, vibration, odors, smoke, dust, mist from irrigation, use of pesticides and crop production substances, and transporting or movement of farm equipment or vehicles and livestock on public roads. Oregon’s “right-to-farm” law was updated in 1993 and 1995 and is found at ORS 30.930. While you may choose not to farm your land, you still live in an agricultural area. Expect to experience days when neighboring farms produce noise, dust, workers, traffic and even odors. Farmers must perform certain tasks on a schedule determined by Mother Nature and the marketplace. Plowing and planting must occur when the soil is the right temperature and dampness; nutrients or protectants must be added when the plants are hungry or have been attacked by a new disease or pest and harvest must occur when the crop is mature and the market is ready. If the farmer raises horses or livestock, expect odors, noise, insects and the occasional escape. You may be inconvenienced a few days each year; most consider this a tiny price to pay for the benefits of open space and the views you enjoy 365 days a year. Compromises and patience for those with different rural lifestyles are important to maintain harmony. A successful relationship will be rewarding and mutually beneficial. If you find you can’t tolerate living next to a working farm, look for a more urban setting when choosing your lifestyle. If you need help resolving an issue with a neighbor, contact the Clackamas County Resolution Services at 503-655-8415.